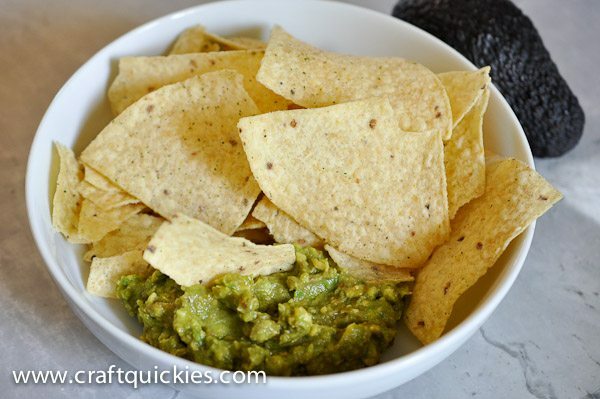 Today I am sharing with you my Auntie Muriel’s three-ingredient guacamole. I told her once that I loved her guacamole and she told me her secret. Three ingredients! I couldn’t believe it! Try it out! It will only take you moments, and it is mmmm mmmmmm GOOD! Gather your three ingredients! 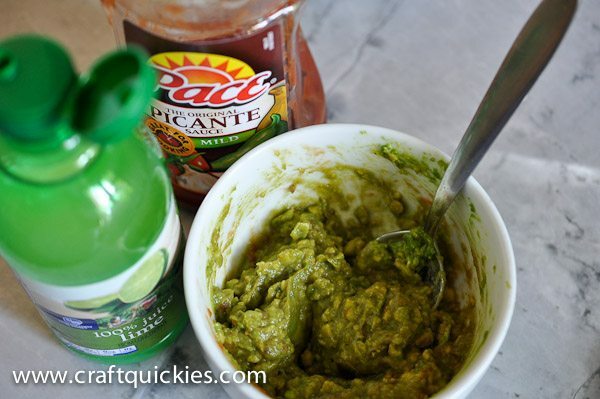 All you need is an avocado, chunky salsa (I usually use Pace), and lime juice. 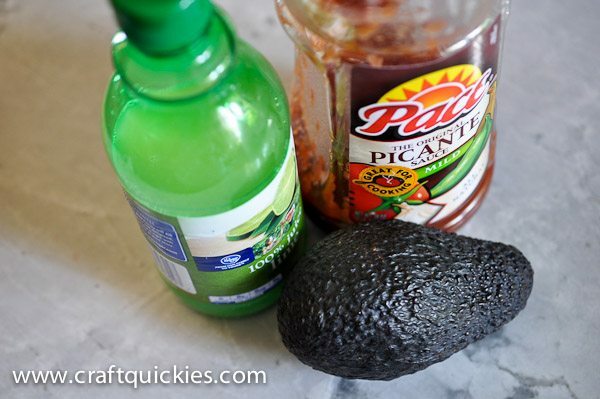 Add salsa until you get the consistency you like and a splash of lime juice to taste. Yum. Stir and you are done! Easy peasy, right?! My little Jade gobbles this stuff up like it’s her job! Enjoy! 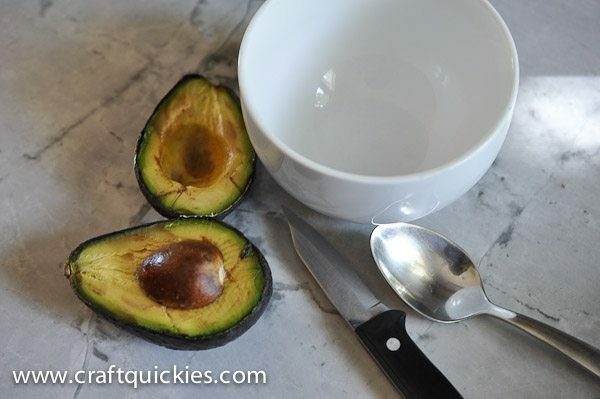 Open your avocado and scoop out the contents into a bowl. 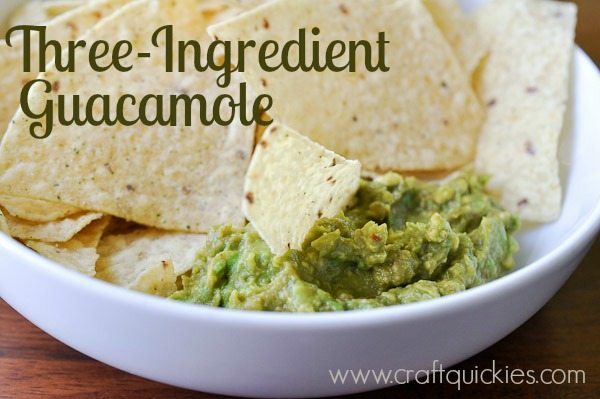 Add salsa until you get the guacamole consistency you prefer. Add a splash of lime juice to taste. Pinned! I’m always looking for fast entertaining ideas, and this would be perfect before a big party or even for tailgating this fall! It really is SOO fast and simple! I whipped it out twice this week already.